The choice of Mohamed El-Orabi as Egypt's next foreign minister is not so surprising, even if speculation in the last few days focused primarily on Fayza Aboul-Naga, the current minister of planning and international cooperation, whereas early speculation focused on Nabil Fahmi, another seasoned diplomat whose falling out with the regime of Hosni Mubarak took him away from diplomacy to be dean of the American University in Cairo's School of Public Administration. El-Orabi, who has just turned 60, has served in several crucial posts during his career, including in the Egyptian embassy in Israel and as chief of the cabinet of the foreign minister in 2000 with Amr Mousa, the current presidential frontrunner. He was also the ambassador of Egypt in Berlin for six years during which a major breakthrough in relations was secured, especially on the cultural front. 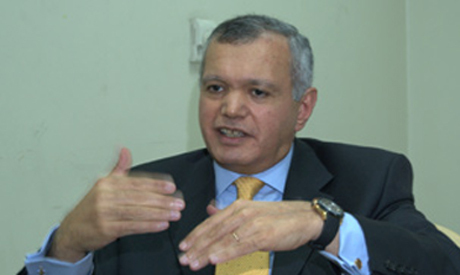 El-Orabi’s last post before retiring for only a few weeks was assistant foreign minister for economic affairs. The choice of El-Orabi, according to informed sources in the office of the prime minister, was made during the past few days after Aboul-Naga declined the job, preferring to keep out of the spotlight given her long standing in government under toppled president Hosni Mubarak and her membership of the now defunct National Democratic Party. El-Orabi, according to the same sources, is a good compromise for the remainder of the transitional period. He is, they say, well-known in leading decision-making circles, in view of his years in Berlin. His association with the previous regime is not direct, in the sense that he never served with the president although he was well-liked by Mubarak who renewed his posting to Berlin beyond the average four-year term. In the Foreign Ministry and in overseas posts, El-Orabi always delivered without pursuing much media attention, and his political views do not necessarily intervene with his diplomatic duties. So while El-Orabi was frustrated with the management of Egypt foreign policy during the past five years, he tried to propose amendments without making a fuss. “He has a very easy-going way of making subtle suggestions — a way that does not come across as too firm. Many people like this about him and he does not like confrontations. He argues with patience,” said a longtime colleague. Perhaps El-Orabi would not make the kind of confrontational statements that now outgoing Foreign Minister Nabil El-Arabi made about the need to normalise relations with Iran or to open Rafah Crossing regardless of the concerns of some parties. He would likely first consult, and let someone else take the credit if this is what they want. “In this respect, he is different from Ahmed Aboul-Gheit (El-Arabi’s controversial predecessor), who chose not even to propose or to try to change,” said a mid-career diplomat. El-Orabi was the deputy chief of cabinet to the foreign minister for three years when Aboul-Gheit was chief of cabinet before being nominated to the post of Egypt’s permanent representative to the UN in New York. Although Mr El-Orabi is not widely known outside diplomatic circles, Ahram's brief resume of the newly appointed sounds promising and sensible. We wish Mr El-Orabi every success in his important new posting.